From March 18th – 21st, STS Aviation Group will be returning to sunny Palm Springs, California, where once again the company is set to exhibit at the 2018 Western Turbine Users Inc. (WTUI) Conference. Key members from STS Component Solutions and STS NDT will be on the ground and available to discuss all of your company’s ground power and industrial non-destructive testing services and support requirements. If you plan on attending the event, come meet the STS team at Booth #1200 and learn all about our product and service support capabilities. 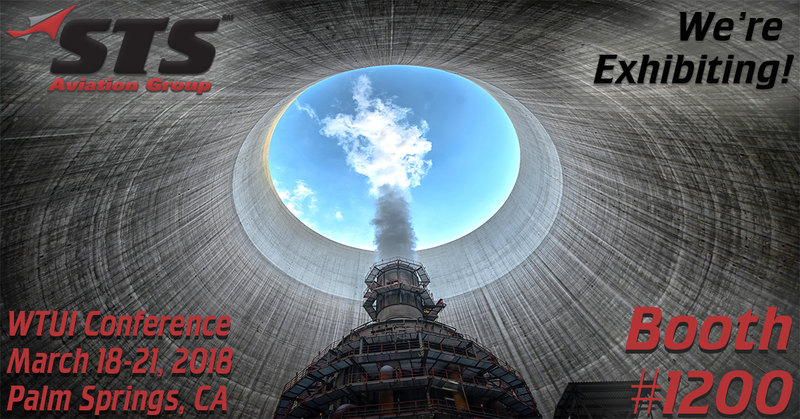 Taking place at the Renaissance Hotel/ Palm Springs Convention Center, the 2018 WTUI Conference program consists of technical breakout sessions and presentations focused on the GE LM2500, LM5000, LM6000, and LMS100 engine lines and services related to the ground power industry. The WTUI organization was founded in 1990 and has approximately 80 power plant facilities and represents over 100 suppliers. This dynamic event brings together key professionals and experts of the ground power industry to discuss critical issues and work towards solutions that surround the operating process of gas turbine fired power plants. During this year’s conference you can expect product and service displays from industry suppliers and OEMs, presentations on environmental, operational and maintenance information and ways to improve reliability and economic viability of GE LM series power facilities. There will also be casual networking opportunities with your peers that include the WTUI conference golf tournament, bowling tournament, spouse tour and the exciting Monday night reception! Members of STS Aviation Group Mario Menendez (Product Line Manager, STS Component Solutions), Ernesto Pastor (Product Line Manager, STS Component Solutions) and Tim Staples (Sr. Vice President, STS NDT) will all be available to meet with during the conference to discuss any of your ground power and non-destructive testing requirements. Be sure to head over to Booth #1200 during the exhibition and meet the STS team. We really look forward to seeing you all in Palm Springs!